“IT’S MY OPINION” can easily be called a brand by accident. It was coined by our founder and CEO, ADITYA GROVER, a Chartered Accountant by profession and a writer/ poet by passion. His love for movies engendered this activity of critiquing films, and little did he know that reviews published by ‘IT’S MY OPINION’ will be followed by lakhs of people from all parts of India, and even abroad. It all started on the social networking site, Facebook. 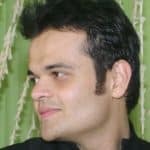 From late 2010 onwards, ADITYA GROVER started sharing his opinions on movies that he saw, on his own profile page. These critical appraisals of movies were received enthusiastically by the friends/ readers following his posts. Soon, seeing the encouraging responses to his analysis, a need was felt for a dedicated page only for Movie Reviews. Thus, in June 2011, the page “IT’S MY OPINION” was created on the url www.facebook.com/itsmyopinion.movies . People started following the page and the reach kept expanding day by day. Today, it is being followed by lakhs of people, and the readership & engagement levels are at unforeseen levels. At IT’S MY OPINION, we are committed to provide to you unbiased, frank and fair reviews of latest movies each week, not compromising on our values and without being perturbed by how people will receive it. We firmly believe, that in the long run, it’s genuineness that stands inviolable, no matter how critically it is received initially. Our endeavour has always been, and will always be to praise and encourage good cinema, so as to improve both, the quality of cinema being made, and the taste of the larger audience viewing it. We make sure we recommend you just what you are looking for. We help you make informed choices, as audience. As much as we like sharing our thoughts, we equally appreciate and welcome your opinions. Nothing is more relevant than the feedback of the readers, and we give full respect to each and every comment we receive, both positive and negative. Have a great time at the movies, and remember, each one of us is entitled to our opinions, and hence we bravely share our thoughts and proudly say, “IT’S MY OPINION”! “IT’S MY OPINION” can easily be called a brand by accident. It was coined by our founder and CEO, ADITYA GROVER.